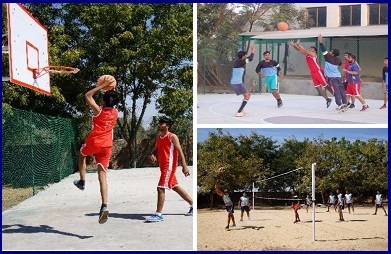 The college has provided grounds of different sports with equipments. The institute has well managed outdoor grounds and facilities of football, volleyball, kho-kho, cricket, kabaddi, basketball. College also has facilities to play indoor games like table tannis, chess, carom, badminton. We are also dedicated to provide coaching in main stream game to improve performance in competition.